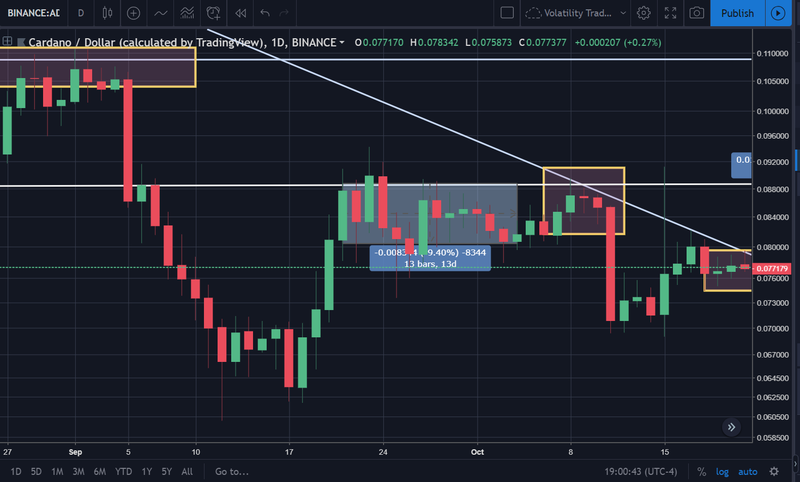 There have been a few noteworthy events on the Cardano protocol as of late, so let’s take a look at some of them to get a better gauge on what’s going on in terms of its price action. 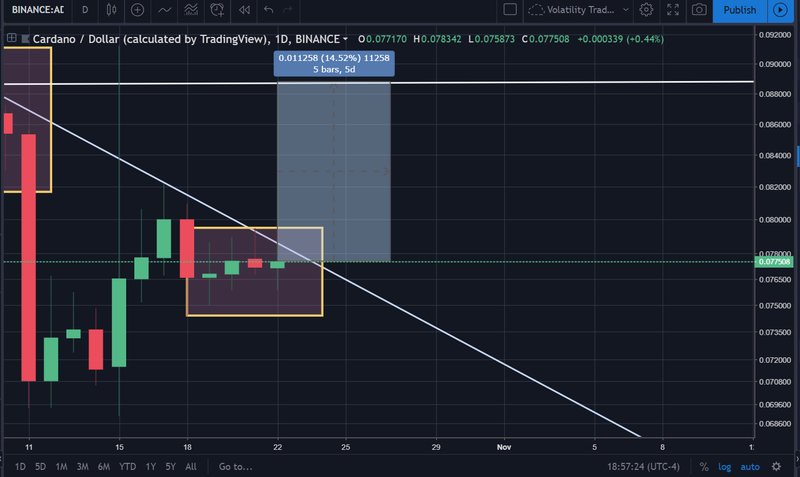 In the picture above, we can see a heavy downtrend resistance point for $ADA (Cardano). It appears that the price on the daily is nudging right against that line. Question here is if $ADA breaks that downtrend resistance. It appears to be iffy from what we’re seeing on the chart. We can see a little uptrend on the chart above as well. The RSI Balance of Power indicates massive selling though. The decline is fairly sharp. This doesn’t preclude an official breakout though. The price could still bust up past the downtrend resistance. However, it’s a gamble to assume such. 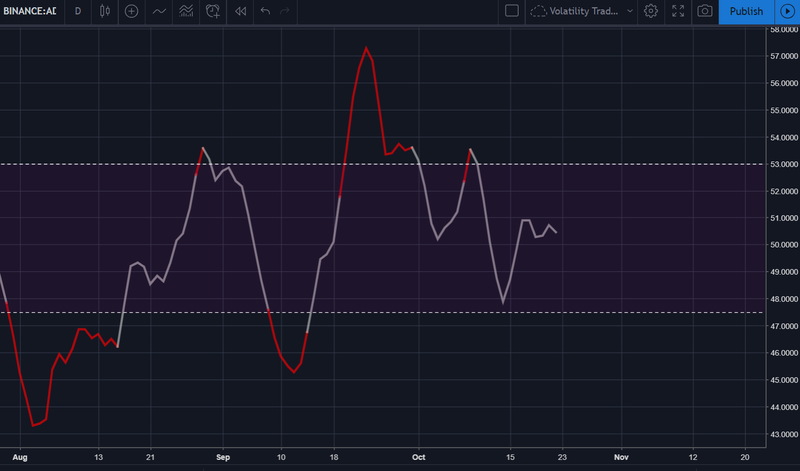 The last roadmap update (October 4th, 2018) for Cardano didn’t really yield much in terms of price action leading up to the update itself. In the two weeks preceding the update, there was nothing of particular note going on in terms of price action. Therefore, this next ‘pump’ in the price more than likely will yield the same results. The price action is still equally iffy and the RSI(14) is still looking ambiguous. There’s just not enough information for us to make a definitive decision on Cardano going either way. Therefore, there’s no recommended move to make with this one for the time being.